October 26, 2017 – This morning, the House of Representatives passed a budget that the bi-partisan Committee for a Responsible Federal Budget describes as using "gimmicks", increasing debt and exercising "Zero Fiscal Restraint". For New York State residents, the bill is especially threatening because it eliminates the deductibility of State and Local Taxes (SALT) from taxable incomes. When this idea was introduced under President Reagan, it was described as "double taxation". The CEO of American Express predicted that the value of the company's new building would drop by 25 percent, from $1 billion to $750 million. The proposal was defeated. Under President Trump, the idea was resurrected and has passed both the Senate and the House. One of them, Rep. Peter King, said: "Why should I vote for something that would end up decimating my district?" The other, Lee Zeldin, represents most of Suffolk County. The bill has passed by a few votes and now goes back to a House-Senate conference for reconciliation. New York voters are watching carefully. If King and Zeldin think that they will be forgiven for this "decimating" GOP budget because they voted against it, they may be in for a surprise. BUDGET 2017 | House Chooses "Zero Fiscal Restraint"
The House today just passed the Senate-approved Budget for FY 2018, which the bi-partisan Committee for a Responsible Federal Budget describes as a choice of "Gimmicks and Debt" and "Zero Fiscal Restraint". Republicans in Congress laid out two visions in two budgets for our fiscal future, and today, they choose the path of gimmicks, debt, and absolutely zero fiscal restraint over the one of responsibility and balance. While the original House budget balanced on paper and offered some real savings, the Senate’s version accepted today by the House fails to reach balance, enacts a pathetic $1 billion in spending cuts out of a possible $47 trillion, and allows for $1.5 trillion to be added to the national debt. Make no mistake – this is a defining moment for the Republican party. After years of passing balanced budgets and calling for fiscal responsibility, the GOP is now on-the-record as supporting trillions in new debt for the sake of tax cuts over tax reform and failing to act on the pressing need to reform our largest entitlement programs. Although Congress just took a radical detour, there is still time to reverse course. As the legislative process unfolds, we urge members of Congress to produce legislation that does not add to our already near-record high national debt, and to reject the use of gimmicks, including rosy economic growth assumptions, that hide its true cost. Tax cuts do not pay for themselves; they can create growth, but in the amount of tenths of percentage points, not whole percentage points. And they certainly cannot fill in trillions in lost revenue. Relying on growth projections that no independent forecaster says will happen isn’t the way to do tax reform. Lawmakers should instead return to the principle of fiscal responsibility by enacting pro-growth tax reform that doesn’t add to the debt. I have served as an expert witness in equal opportunity, election district, utility rate, utility merger, environmental and real estate cases. My testimony was crucial in several cases. Most of the time I was working with lawyers for a nonprofit groups or a government agency, and I was paid for my work. In a few cases I donated my expertise to a cause. I am posting this to make sure that I have done my best to prevent someone else making the same mistake that I did. If you are told you will be paid, there are steps you need to take to make sure you are. 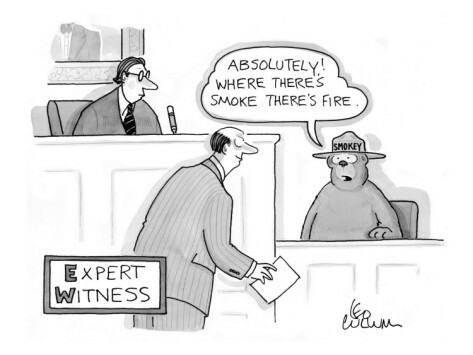 The Daubert factors are familiar to lawyers but not always to expert witnesses. Understand that your expertise may be matched against that of someone else on the other side. 5. In some federal courts, a Daubert challenge must occur regarding any expert review. If it looks as though you won't be able to get through all these steps, don't take on the job. The lawyer may sound desperate – but that's his problem, not yours. This blog has had 370,000 page views. The following posts are the ten most read on this blog in the last month. THE FED | Who Will Follow Yellen? TAX REFORM | Hatching a Bipartisan Plan? Tax Cuts Financed by Borrowing, for the Wrong Taxpayers, at the Wrong Time? October 18, 2017 – The following is an up-to-the-minute report on tax legislation from Dana Chasin in Washington, D.C. It describes President Trump's tactics to promote his deficit-financed tax-cut program, a Keynesian fiscal-recovery strategy at a time of full employment. A Senate vote is imminent. Chasin's report is titled "Trump Wooing Democrats on Tax; Outside Groups Making Inside Pitches Too. (Update #215.)" Reposted here by permission. Senate debate continued today on the budget resolution that the GOP now has the votes for, and intends to pass, tomorrow night. The resolution includes reconciliation instructions for a $1.5 trillion deficit-financed tax cut. As we watch the amendment process – a.k.a. "Vote-a-rama" – and await the final vote, we examine a strategic choice Trump has pursued while pitching his plan around the country. Over the last few months, Trump has targeted specific Democratic Senators from states he won who are in the ballot in 2018, seeking to cajole them to join him on his tax plan. What tactics has he employed? How have outside groups weighed in? Can these efforts succeed? See below. Trump has been holding rallies in states he won that have Democratic Senators regularly over the last six weeks. He started just before Labor Day in Missouri, where he called on voters to “vote out” Senator McCaskill if she does not go along with his tax agenda. The President appeared with Senator Donnelly at his event in Indiana and used a teasing tone to pressure the Senator. In an even lighter approach, Trump gave Senator Heitkamp a ride on Air Force One and praised her as a good woman who he hoped would support his tax plan. Senators Donnelly, Heitkamp, and Manchin each declined to sign a letter with 45 other Democrats opposing tax cuts for the top 1 percent. Trump is arranging dinners with Democratic Senators to woo them on tax. So far, he has dined at the White House with Sens. Manchin, Heitkamp, and Donnelly. Ivanka, Jared, and the administration's legislative director Marc Short hosted Manchin, Heitkamp, and McCaskill on Monday. Sen. McCaskill aired concerns about pass-through rates and insufficient child tax credits. Trump enlisted Vice President Pence to push their tax plan in Indiana to help pressure Sen. Donnelly. Pence has also pushed the tax plan in Michigan, implicitly targeting Sen. Stabenow. Vice President Pence found more friendly terrain in West Virginia where Sen. Manchin joined him at a tax event in a state that Trump carried by 41 points. Trump-allied groups are running ad campaigns against Senators Manchin, Heitkamp, and Tester. The ad shows President Kennedy claiming tax reductions would stimulate growth and boost worker wages. The 30-second ad buy costs six figures and has run on television in three states represented by in-cycle Democratic Senators. There are three potential objectives in the administration’s barnstorming campaign. • Getting to 50: A small but significant number of GOP senators are raising objections to the tax proposal’s deficit impact. The administration worries about a repeat of the healthcare fiasco when Senate Republicans could not find the votes undo the ACA and hopes to coax one or two centrist Democrats to move Trump’s tax proposal in the event any Republicans break ranks. • Getting to 60? : The administration is concerned Senate Republicans might fail to pass tax reform via reconciliation (either because they cannot pass a budget resolution or because the vote fails on the floor). It may be keeping open the remote possibility of a permanent comprehensive reform package that could pass through regular order with eight Democratic votes – extremely unlikely, as it would require a thorough rewrite of the current proposal. • Positioning for 2018: Trump might use the tax issue to help Republicans position themselves against Democratic senators in the 2018 midterms. He has targeted Democrats in states he won in 2016, calling on voters to “vote out” senators who oppose his tax plan. Nevertheless, Trump wants a win now to deliver legislation in his first year; Congressional incumbents may benefit more from election year accomplishments. To push his tax agenda, President Trump has targeted six Democrats with rallies in their states, invitations to the white house, and ad buys. He has taken a different approach to each Senator. • Sen. Joe Donnelly, Indiana – The President chided Donnelly during an Indiana tax rally, making an appearance with the Senator. The two have met over dinner at the White House. Sen. Donnelly is not close to supporting the current framework, as the tax benefits are not sufficiently aimed at the middle class. • Sen. Heitkamp, North Dakota – Trump made a special effort to play nice with Sen. Heitkamp on a trip to Bismarck last month. Not only did he praise her during his tax speech, but he also brought her along from D.C. on Air Force One. Trump-allied groups have invested 30-second ad buys promoting tax cuts on North Dakota TV. Sen. Heitkamp is well liked by the North Dakota business community and has extensive experience in tax policy and administration. She opposes cuts for the top one percent and/or additions to the deficit. Heitkamp has indicated interest in collaboration on tax reform, reaching out after Trump’s visit but the administration has not contacted her or her staff since. • Sen. Joe Manchin, West Virginia – Sen. Manchin dined with the President and attended an event with the Vice President to discuss tax reform. Trump was scheduled to make a trip to West Virginia but had to cancel to travel to Las Vegas in the wake of the shooting. He's unreachable, barring a radical revision. Sen. Manchin would set the corporate rate at 25 percent, the pass-through rate at 30 percent, and would tax money stashed overseas at 10 percent. 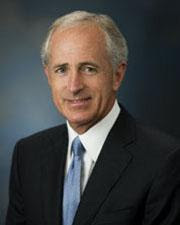 Like Republican Bob Corker, he would oppose any plan that adds too much to the debt. He seems to have been most effective among Democrats at negotiating details with the administration. • Sen. Claire McCaskill, Missouri – She is the first Senator to be targeted by the President during his August visit to kick off his tax plan road show. The President called her out by name saying that if she doesn’t support his plan Missouri should vote her out. Sen. McCaskill emphasizes simplicity, expanding child tax credits, opposing the pass through rate cut. She stated at a town hall recently that she would love to help the administration on a tax reform package, but the current framework is only a cut for the one percent, not middle class families. • Sen. Debbie Stabenow, Michigan – Vice President Pence stumped for tax reform in Michigan. There have been no reports of President Trump pursuing direct personal outreach. Sen. Stabenow has focused on tax reform as it relates to supporting workers. • Sen. Jon Tester, Montana – The President has not yet visited Montana. This led Tester to invite the President to his state – which does not suggest he is close to supporting the framework. Trump-allied groups invested in 30-second ad buys promoting tax cuts in Montana. Sen. Tester articulated his priorities on tax: simplify it, make sure it doesn’t add to the debt, and give a break to working families and small businesses. As hard as Trump works, his efforts are not yet producing results and despite the extent of the investment, return on it looks fanciful. None of his Democratic targets support the present tax framework. Primary reasons are the plan’s inequity, lack of emphasis on the middle class, the deficit impact, and its lack of detail. To date, there are no signs of division within the Senate Democratic caucus on Trump's tax plan and only fitful indication that Trump might revise his plan to such an extent that Democrats might take another look. None of these Senators is in a position to support Trump on taxes today, despite his cajoling. To attain bipartisanship, Republicans will have to move closer to Manchin’s principles. From any angle, Trump’s barnstorming appears to to be little more than an attempt to create cover in the event of a meltdown in the Senate. As the tax plan stands now, Democrats will be unwilling give him any votes. See also Update #211 and Update #204 by Dana Chasin, also on tax reforms. Some unfavorable financial trends and an air of uncertainty for healthcare’s future has led to an environment not particularly friendly for major investment… as hospitals continue to struggle with fewer inpatient admissions, lower reimbursements and potential increases in uncompensated care, investors are growing wary. The current environment caused disappointing second quarters and lower earnings projections for major for-profit systems like HCA, Community Health Systems (CHS) and Tenet Healthcare…. The results led stock prices to tumble. (2) Hospital Sector Slides. The Financial Times notes that US hospital operators' stock prices are sliding down following a report that President Donald Trump will sign an executive order this week to withdraw some insurance requirements laid out under Obamacare. Tenet Healthcare, Community Health Systems, Surgery Partners, HCA Healthcare, DaVita shares tumbled lost up to 10% in stock prices. (3) Some are suggesting "Checking in on the Canadian Healthcare Stocks". It's not just the stock market. If hospitals are heading into lean times, then one of the engines of job growth since 2009 will be knocked out. Even during the recession before that, the health care industry was growing jobs steadily. When this juggernaut goes into reverse... watch out, America. The Update takes its own “tax holiday” to look at last Friday's Financial Stability Oversight Council (FSOC) under-the-radar vote to de-designate AIG as a Systemically Important Financial Institution (SIFI) and the rationales provided by seven of the ten FSOC members. The Council’s 68-page report – the most comprehensive snapshot of the current financial regulatory leadership and administration’s thinking on systemic risk – attributes the decision to material changes in the company’s size, complexity, and risk profile since its designation. Now only one non-bank financial company, Prudential Financial, maintains its SIFI designation. Was this decision merely the operation of law or is it the result of a clear Trump agenda to diminish or eliminate FSOC’s impact? What does the vote breakdown tell us? More below. The Council voted 6-3 to rescind its 2013 designation of AIG as a SIFI. All four Trump appointees on the FSOC voted in favor of delisting, while the Obama-era appointees were split. SEC chairman Jay Clayton recused himself from Friday’s vote in order to avoid a conflict of interests, raising a key legal question about the vote. Fed Chair Janet Yellen voted in favor. –Keith A. Noreika, Acting Comptroller of the Currency: Noreika, an Obama-era appointee, voted in favor of rescission. He does not believe non-bank financial institutions should be regulated as SIFIs. –J. Mark McWatters, Chairman of the National Credit Union Administration: McWatters voted in favor of rescission on the grounds that AIG today is a far different company than in 2009 when he examined the company as part of the Congressional TARP Oversight Committee. Notably, he fails to acknowledge that AIG’s baseline SIFI designation occurred in 2013, not 2009. –J. Christopher Giancarlo, Chairman of the Commodities Futures Trading Commission: Giancarlo explained that AIG’s decreased derivatives liabilities, lending liabilities, capital markets downsizing, and ceasing of swaps activity led to his decision to vote yes. –S. Roy Woodall, Jr., the Independent Member Having Insurance Expertise: Woodall, an Obama appointee, criticized FSOC’s rescission document as confusing and deviant from the statutory test to determine whether the company poses a risk to financial stability. On the grounds of this statutory test, however, he does not believe AIG to be a SIFI, writing that it is half the size it was during the crisis. –Janet Yellen, Chair of the Federal Reserve: Fed Chair Janet Yellen, the most prominent Obama-era appointee on the Council, voted in favor of rescission on the grounds that AIG’s downsizing efforts render is no longer too big to fail. –Richard Cordray, Director of the Bureau of Consumer Financial Protection: As a member of the 2013 Council, Cordray does not believe AIG has made true reduction changes based on planning but has shrunk due to a failed business model and weakened financial market. 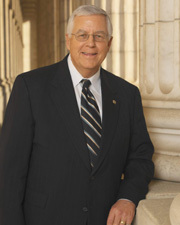 –Martin J. Gruenberg, Chairman of the Federal Deposit Insurance Corporation: Dissented for three reasons – an increase of liabilities/assets in other areas of AIG like life insurance and annuities, an inconsistent determination of the Council, and continued irresolvability due to AIG’s size and operations. –Melvin L. Watt, Director of the Federal Housing Finance Agency: the two legal standards for FSOC designation were not given independent reviews. If FSOC reviewed AIG under the other standard (size, scope, etc.,) then the Council would have found AIG is still in need of enhanced supervision. Many see FSOC’s decision as a manifestation of Trump’s deregulatory agenda. The FSOC here was fulfilling its legal obligation to re-evaluate its designations annually. At the time of designation, the FSOC concluded that AIG posed significant systemic risk primarily because of its exposure to financial intermediaries, its inability to conduct an orderly liquidation of its assets, the company’s “financial contagion” risk in insurance markets, and its general complexity. Friday’s announcement comes after more than a year of interaction between AIG and FSOC and an official request for de-designation on July 7, 2017. FSOC’s re-evaluation focused on “material changes” since the Council’s previous review. Exposure: material impact on creditors, counterparties, investors, etc. Asset liquidation: liquidation in such a way that asset prices and markets are affected. Critical function/service: entity no longer provides services that are relied upon. At that time, AIG produced negative risk most frequently and powerfully through excessive exposure and asset liquidation. The decision to rescind the company’s designation was due to the reconstruction and reduction of various high-risk practices. Capital market/institutional exposures lead to a cascading effect if a non-bank experiences distress later on. Therefore, AIG reduced its total assets, total debt outstanding, short-term debt, and securities lending from their 2012 levels. Also, the complexity of AIG rendered it irresolvable in 2013. The Council considered that the company has simplified its total assets, multi-jurisdictional operations, and global financial impact in order to address this. Yet, it maintained that the entity is still complex and requires further efforts. After Friday, Prudential Financial is only nonbank financial company to bear a SIFI designation. The institution is the largest nonbank by by asset size at $784 billion – over $285 billion larger than AIG. As FSOC must re-evaluate all designations each year, we could soon see the announcement of its de-designation. Metlife challenged its SIFI designation and won de-designation in court. President Obama’s justice department appealed the decision. The Trump could announce that it will not move forward with the appeal at any point. Clayton’s recusal might be legally significant. Section 113(d) of DFA requires two thirds of serving FSOC members to vote yes for a SIFI rescission. If Clayton is considered to be a serving voting member FSOC, then FSOC has ten serving members. Six of ten is not a two thirds majority. This would open up a question about the legal standing of AIG’s de-designation. Washington, D.C., October 5, 2017 – Today saw two major steps toward Congressional approval of a FY 18 budget resolution. The House passed its 2018 budget resolution providing reconciliation instructions, paving the way for tax reform, on a 219-206 vote, 18 GOP members voting against. And Senate Budget reported out its budget resolution along partisan lines. The Senate language allows for a $1.5 trillion deficit increase. The House measure calls for deficit reduction. Reconciliation instructions included in both the House and the Senate resolutions would allow Republican leadership to craft a tax package that adjusts revenues and spending that could be passed with a simple majority in the Senate. To pass the cuts, Senate Republicans would have to vote in near unison. The budget resolution's chances of passage and what's at stake are considered below. In day one of the two-day Senate Budget Committee markup, Senators drilled down tax policy. Republicans attempted to legitimize the Big Six’s policy framework, claiming it was based off bipartisan principles, but Democrats excoriated the proposal for rewarding the wealthy, dramatically increasing the deficit, and increasing taxes for the middle class. Per the House resolution, top lines instructions for 11 House committees require a $213 billion decrease in spending. House Judiciary ($45 billion), Oversight and Government Reform ($32 billion), and Ways and Means ($52 billion) Committees are charged with producing the largest cuts in spending from 2018 to 2027. Reconciliation instructions now require specific changes from the Senate. Given debate during the markup session regarding the $470 billion of cuts expected to Medicare, much anxiety revolves around the reconciliation recommendations that will arise from Senate Finance. Sens. Sanders, Harris, and Stabenow led the Committee with the most amendments opposing these cuts. Today’s Senate budget resolution sets a topline FY18 discretionary spending at $549 billion for defense and at $516 billion for nondefense discretionary. By contrast, the House resolution calls for $621.5 billion for defense and $511 billion for non-defense discretionary spending in FY18 President Trump’s FY18 budget proposed $616 billion in defense, $538 billion non-defense. The Senate figures represent a decline from the FY17 budget toplines of $616 for defense and $551 for non-defense discretionary spending. The administration and the House are more consistent with last year’s numbers, although the House resolution calls for a slight increase in defense spending matched by a slight decrease in nondefense discretionary spending. The Senate resolution also calls for $632 billion in nondefense spending cuts between 2018 and 2027. 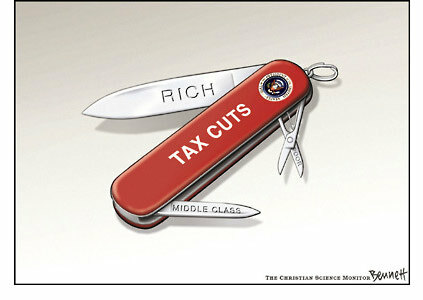 Budget Committee Democrats repeatedly raised concerned that these spending cuts would translate into deep slashes vital social programs. Particularly contentious were proposed cuts to Medicare and Medicaid, Pell grants and Head Start programs, and WIC programming. Today’s markup was anything but bipartisan. Democrats repeatedly introduced amendments to protect social programs, push Republicans towards budget neutrality in tax legislation, and ensure that the CBO analysis of tax proposals. Time and time again, these amendments were either tabled or failed outright – almost always along 12/11 partisan lines... yet another indication that Republicans plan on using a majoritarian route in pursuit of their tax reform agenda. Yesterday, Sen. Corker indicated an unwillingness to play ball with his fellow Republicans, stating that he would not vote for a tax bill that was not permanent and that added to the deficit. While it is not clear how much he will end up pushing back, his dissent is worth noting – Republicans can only lose two votes on the Senate floor if they want to move their tax plan with reconciliation. Beyond this, the Senate is unlikely to accept the $203 billion in mandatory cuts to social programs as the House sets out. These differences will have to be addressed in conference for agreement to be reached on a joint budget resolution. Since the budget resolutions passed on the House floor and through the Senate Budget Committee today, attention turns now to how it will fare on the Senate floor. The Senate will address the budget after its return from Columbus Day/Indigenous People's Day recess on October 16. Thereafter, the two houses will conference to hash out differences. Both the House and Senate Budget Committees are to have their recommendations for tax reform submitted by November 13. The reconciliation process and budget for FY 18 must be completed by December 8 in order to avoid a government shutdown.